In the 1400s, a Native American boy growing up in what is now known as the Southwestern United States had to earn his name by accomplishing a notable feat. 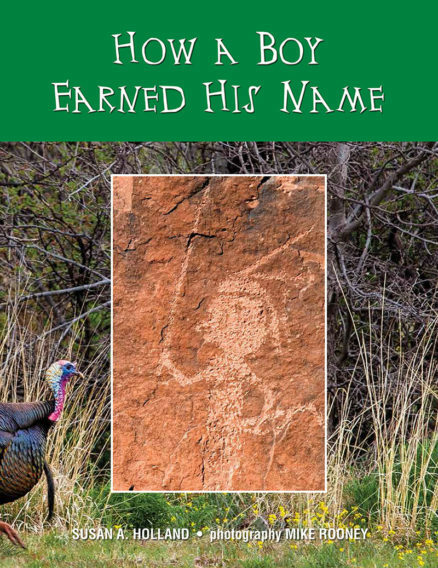 Historical tradition and petroglyphs are the basis for this exciting tale of a boy on his journey to acquire a name for himself. Susan is a native of Topeka, Kansas. 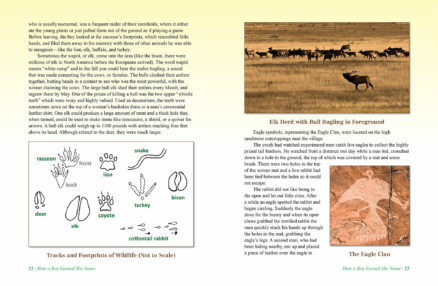 After visiting the southwest in the 1960s she became determined to study archaeology and received a degree from Northern Arizona University at Flagstaff. 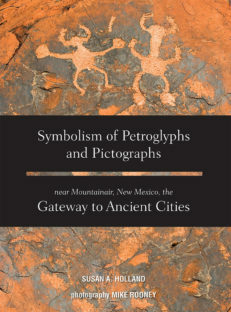 As Susan pursued her career in the west, southwest, Great Plains, and Hawaii she became more deeply intrigued with petroglyph and pictograph symbols and their meaning. 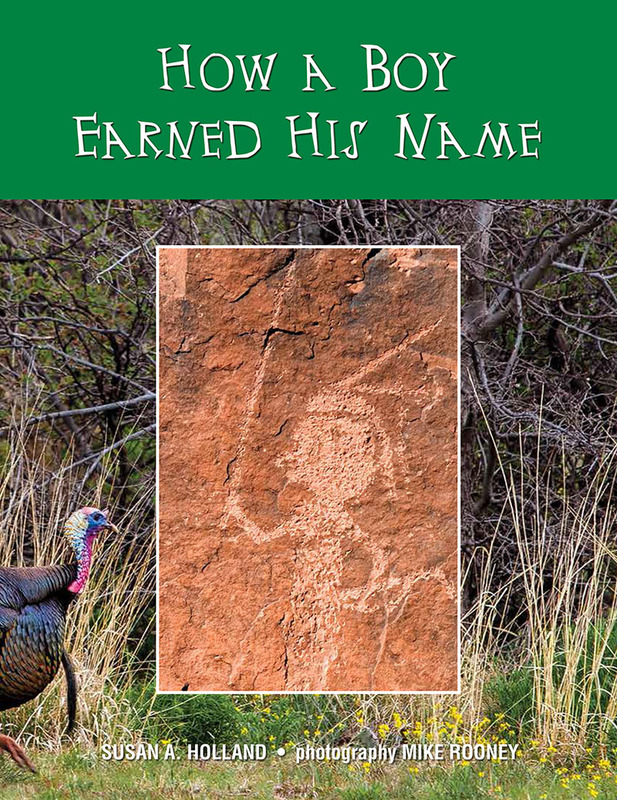 Motivated by a Native American friend who stated that “all things have meaning,” she persisted to substantiate that fact by researching the artistic symbols in the Mountainair, New Mexico, region. 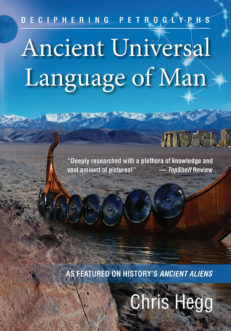 This book offers an explanation of a few of those symbols. 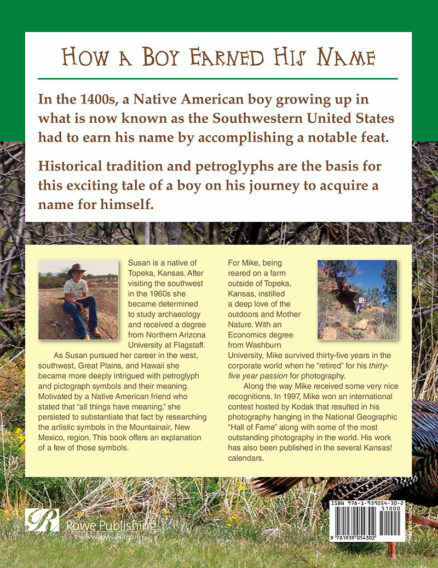 For Mike, being reared on a farm outside of Topeka, Kansas, instilled a deep love of the outdoors and Mother Nature. 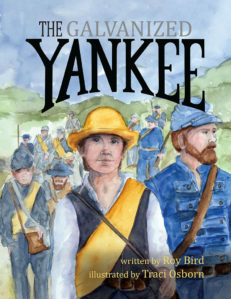 With an Economics degree from Washburn University, Mike survived thirty-five years in the corporate world when he “retired” for his thirty-five year passion for photography. Along the way Mike received some very nice recognitions. In 1997, Mike won an international contest hosted by Kodak that resulted in his photography hanging in the National Geographic “Hall of Fame” along with some of the most outstanding photography in the world. His work has also been published in the several Kansas! calendars.